It’s not too late to save up to 15% on a last-minute trip to Keystone’s Wine & Jazz Festival happening this weekend in River Run Village. SummitCove Lodging is selling ticket and lodging packages that will save you up to 15% than purchasing them separately! Hurry, you only have until 3pm today! Otherwise, you can purchase tickets on KeystoneFestivals.com or at the festival gates, starting an hour before the event. We hope to see you this weekend in Keystone! Will you be celebrating St. Patty’s Day in Keystone Colorado this year? 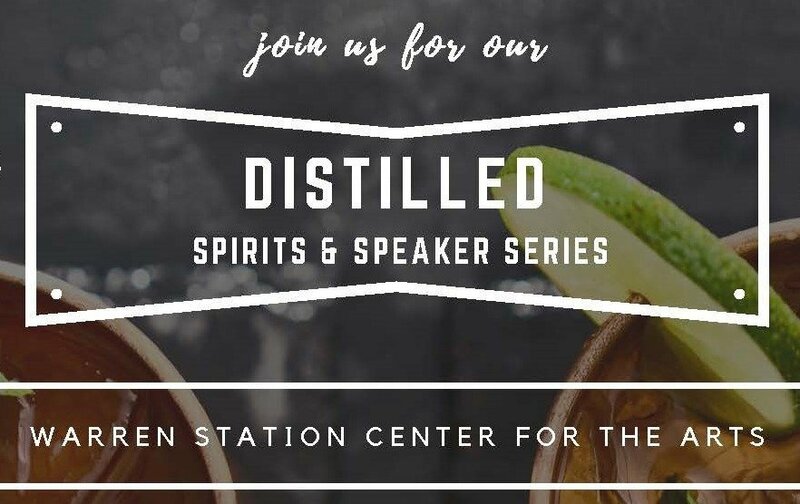 Head to Warren Station on Saturday, March 17 to enjoy one of their signature events, the Distilled Spirits & Speaker Series. This night will feature a whiskey cocktail competition, with recipes created from various local establishments from Summit County. Reap the benefits of stiff competition as you taste an array of wonderful whiskey cocktails with a St. Pattys Day whiskey theme! Live music from the Well Beings will accompany a fun afternoon of tasting. Enjoy tasty appetizers with your samples from Black Diamond Gourmet. Guests will be asked to vote for their favorite and in return, you’ll receive a full size version of your favorite. The vendors will be competing for two awards, ‘People’s Choice’ and ‘Experts Choice’. The grand prize for the Expert’s Choice award winner will consist of a night out in Denver including lodging at the beautiful Maven Hotel, dinner and drinks, as well as a show. Second place will walk away with a $100 gift card, and third place will receive a bottle of premium whiskey courtesy of Jim Beam. The doors open at 4pm, with music starting at 4:30pm. The winners will be announced at 6:45 pm. Tickets are just $15 when you purchase them online in advance and include samplings of each drink, a full size cocktail and appetizers. If you aren’t familiar with the Keystone Resort area, Warren Station is located in the heart of skier village, River Run. Lodges in the River Run area include Jack Pine, Silver Mill, The Springs, Black Bear Condos and Arapahoe Lodge. Many guests name River Run Village as their favorite place to stay with all of its great amenities and proximity to the ski slopes and gondola. Most guests find that they don’t even need a car while they are here, as everything you need is within walking distance! When you are here in Keystone for your Spring Break 2018 vacation destination, be sure to get tickets now for this great upcoming event at Warren Station! With over 3 feet of snow far this month, the conditions at Keystone Ski Resort are amazing! This Saturday night at Keystone’s Warren Station in River Run is the Distilled Spirits and Speaker Series Event, ‘Backcountry and Bourbon’. This series brings together educational topics related to the mountain community with spirits tastings! This weekend’s event brings in Jason Konigsberg from the Colorado Avalanche Information Center (CAIC) to talk about backcountry safety and travel, along with avalanche awareness. Whiskey expert Chris Galante from Jim Beam, will also be presenting on small batch bourbons including: Basil Hayden, Jim Beam Black, Makers Mark 46, and Knob Creek Rye. Additionally, the Keystone Ski Patrol will be giving a short talk on their avalanche dog program. Your $15 ticket purchase includes samples of all of the bourbons and a raffle ticket, a portion of the proceeds will go to benefit the CAIC. Raffle items for the evening include various merchandise from Phunkshun, Weston Snowboards, Rahmen + Co, and more! There will even be a snowboard from Weston Snowboards available for guests to win! Not a drinker? There is a non-alcohol ticket purchase for you too, for just $5! Doors for the event open at 6:30 and the event kicks off a 7pm on January 27, 2018. Where else can you learn about the Colorado Backcountry WHILE you taste samples of fine bourbon and probably get to pet some really cute avalanche dogs? In Keystone, this weekend! Don’t miss it! Keystone has received 5 inches of new snow in the past 48 hours. The ski resort continues to open new lifts and terrain. Today Keystone opened the Wayback Chairlift, along with more of Schoolmarm through Last Chance and the more difficult trail, Anticipation. Tomorrow they are planning on opening Paymaster, Flying Dutchman and A-51’s I-70. On Saturday, Keystone will roll back to their earlier opening time, with the lifts turning starting at 8:30 am through the rest of the ski season. Today and tomorrow night skiing is also open until 8pm. That means you’ll potentially be able to ski for 11 and a half hours tomorrow – if you want! This evening in Keystone there will be a special fireworks display over Lakeside Village happening at 7pm. Tomorrow’s regularly scheduled Saturday-night Kidtopia fireworks will take place at 7pm, shot off mid-mountain and viewable from multiple villages at the resort. The lighting of the snow fort, photos with Santa, kids parade, Kidtopia party and more. Don’t miss another fun weekend in the mountains with fresh snow and more terrain! A new event will be taking place this year in Keystone over the Thanksgiving Holiday Weekend. The Welcome Winter Family Carnival is taking place at Warren Station on Saturday, November 24 to kick-off the winter season! The free event begins at 3pm and will feature tons of fun activities for the kids to enjoy – face painting and balloon art from Freya the Winter Fairy, a bounce house and indoor games. Starting at 6:30 pm, enjoy the sounds of live music when Chris Thompson & Coral Creek put on a high energy concert! The band features original material in the rock, reggae, country and bluegrass genres, plus great covers from The Grateful Dead, The Band, Bob Dylan, Peter Rowan, Jimmy Cliff and others – including unique renditions of traditional bluegrass tunes and rock classics. Free parking will be available at the River Run Lots, located just off Gondola Road. Don’t miss this fun new event in Keystone over the Thanksgiving Holiday Weekend! The Summit Shuttle open for the summer season and is running shuttles daily between the Frisco and Dillon Marinas. The water taxi runs across Lake Dillon, offering guests not only a ride, but a beautiful scenic tour across Lake Dillon. The ride offers up breathtaking views and is a great way to experience the lake from a whole new perspective, without the hassle or expense of renting and/or driving an unfamiliar boat. This weekend I had the pleasure of my first water taxi ride. After the quick boarding at the Dillon Marina, we set sail for our 25 minute ride across the lake in the pontoon boat that is decked out with comfortable chairs, an optional sunshade and of course the 360 degree panoramic views. Along the way, enjoy the beautiful landmarks and sights, including the Gore Range, 10-Mile Range, an old mining town, and even a glimpse of Keystone’s Dercum Mountain. Sailboats, speed boats, and even some kayakers were also out enjoying the lake this weekend. At 3,300 acres and with 24 miles of shoreline, Lake Dillon is the summertime gem of Summit County. Visitors can choose to start from either side of the lake at the Dillon or Frisco Marinas and choose from a round trip ride or shuttle one-way. The boat allows bikes, baby shuttles, and even dogs on board. Make an afternoon of it by riding your bike or driving down to the Marina, ride the taxi across the lake, stop for lunch or a drink at the Island Grill at the Frisco Marina, do some shopping on Frisco’s Main Street, and then head back on the water taxi whenever you are ready. The taxi phone is 970-389-9336 and although there is no set schedule other than the daily start and stop times, you are welcome to call the taxi line at any time and they will be able to give you a rough estimate of the next departure time, average time between marinas is 30-45 minutes. In addition to its taxi service, the company offers private charter services 7 days a week for groups who want the luxury of having a vessel for their own private use. Over the years they have accommodated many family reunions, wedding groups and corporate outings. While they do not serve food and drink, you are welcome to bring your own on-board. All private charter prices include a captain who will take care of the driving while your group relaxes and takes in the scenery. Try this service for a beautiful sunset cruise or just a fun afternoon with friends or family! If you are looking for that one summer activity where all the members of your group, no matter how young or old, can be together, this is one activity that is sure to please them all. Don’t forget to wear sunscreen when playing outdoors and bring a light jacket on the boat, as there may be a breeze out on the lake. The taxi will run rain or shine unless lightening is spotted, and rain jackets are available to wear during the ride if necessary. The taxi services typically run from Memorial Day to Labor Day weekends. Be sure to bring your camera, as the views are spectacular! Images Above: Top Left, Views while heading towards Frisco. Top Right: Mother and Daughter enjoying a day on the lake. Bottom Left: Captain Mike entertains throughout the ride. Bottom Right: Kayakers paddling near the Frisco Marina. Looking for some spooky activities this weekend? Well, there is tons going on in Summit County over the next few days. Located at Frisco’s Recreation Building, on 110 3rd Avenue! Meet at Breckenridge Welcome Center, 203 S. Main St.